About a year and a half ago, I discovered yoga. My neighbor was studying to become an instructor and I wanted to attend one of her classes. However, I didn't want to embarrass myself at my very first class so I started with an online yoga class that I really enjoy. 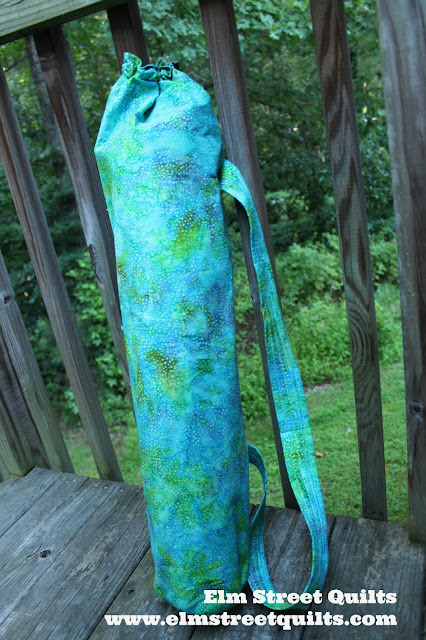 My new yoga bag keeps my mat ready to go when I need it. Iron fusible fleece in middle of strap fabric. Fold one edge of fabric to middle of fleece. Fold other edge a ¼ '' and fold again, covering the edge of first fold. Top stitch across length of strap. Iron fusible to primary fabric 7'' square. 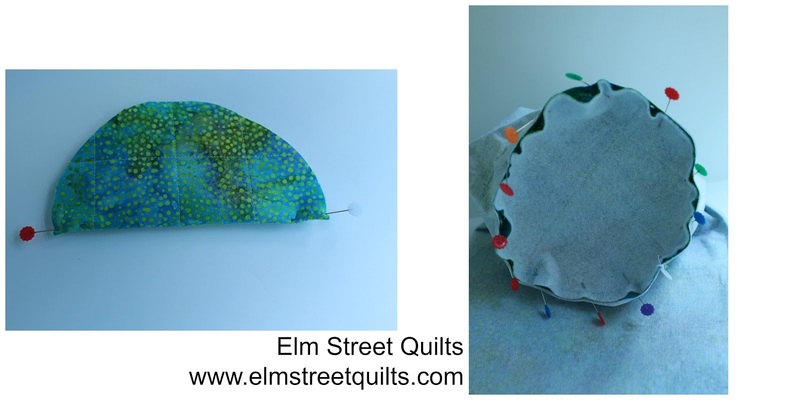 Sew some straight lines with walking foot to add texture and secure the fusible. Cut a circle with a 6 ½ '' diameter. Iron on fusible medium weight interfacing. Consider (optional) sewing a few line to keep it from shifting in use. 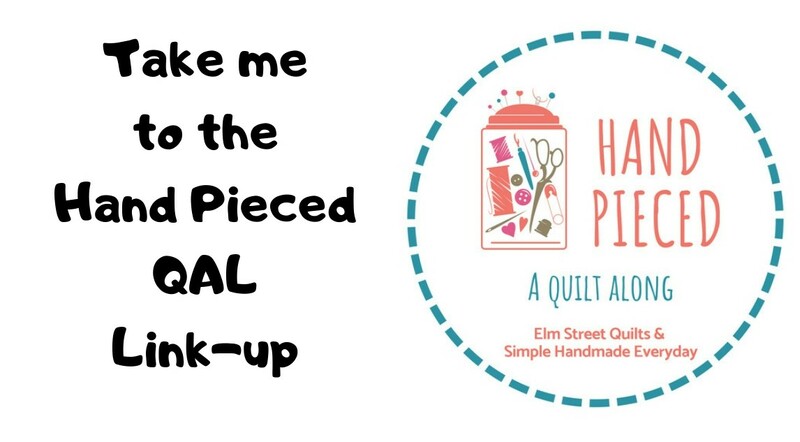 Fold circle in half and mark each edge at fold with a pin. Fold bag in half and mark pin at seam and at fold line. Align pins and then carefully pin bottom circle to bag. Sew. Turn right side out. Finger press the seam flat at top of bag and sew a line of top-stitching around bag at the gap left for casing. With outer bag right side out and lining wrong side out, nest outer bag inside lining. (Right sides will now be together.) Align side seams and sew completely around bag. Reach through hole in lining and turn bag right side out. sew a line of top stitching ¼ '' from top of bag. Put line of stitches about ¾ '' from top and then about an inch below that line to form casing. 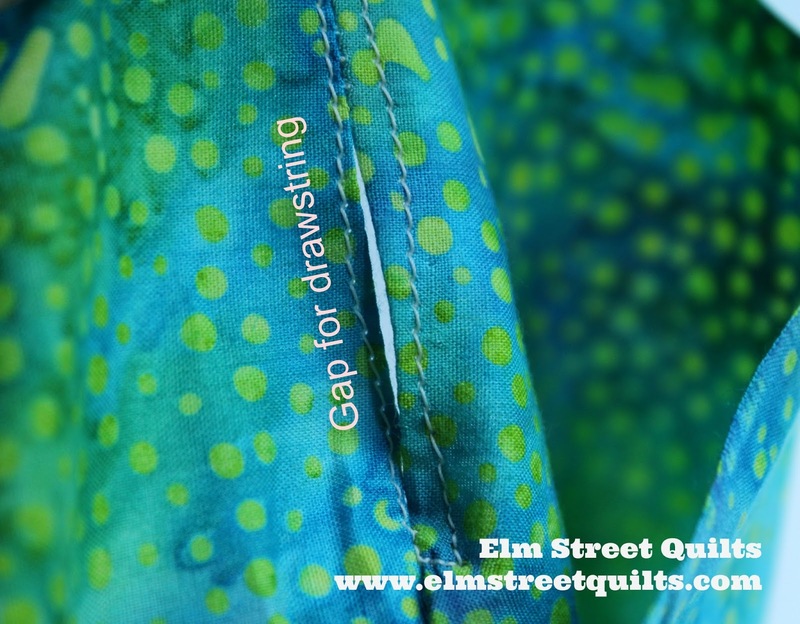 Sew gap opening in lining. Feed cording through hole left in side seam and around through casing. (See tutorial as part of Game Piece Bag.) 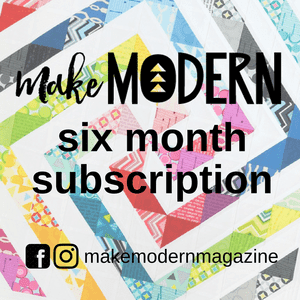 Insert cording through toggle, knot ends and enjoy the bag! Even if you don't go off to a yoga class, it is nice to keep your bag stored away when not in use. Love this Yoga Bag and the tutorial is spot on.l Great job! Love this! Thanks for the tutorial. Your bag looks amazing! 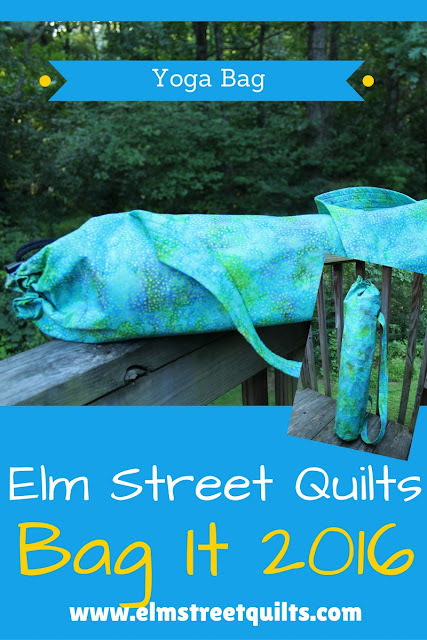 Thanks for the tutorial on the mat bag, and for sharing on Midweek Makers! Lovely little bag, and I can see it being so useful, too. 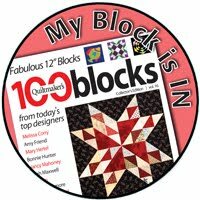 Thanks for linking to Finished or Not Friday and TGIFF at Busy Hands Quilts.